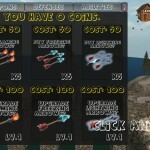 Defense Fantasy Shooting Unity 3D Click to find more games like this. 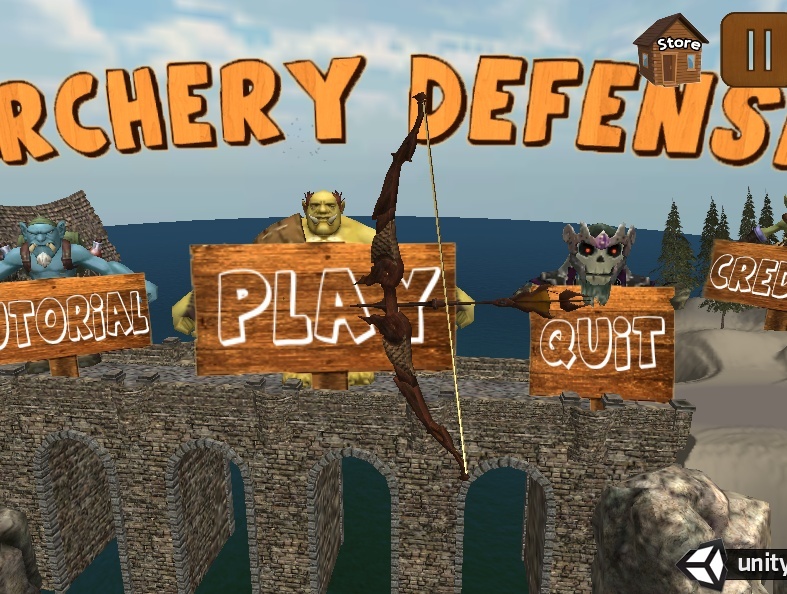 If you had a bow and arrows do you think you can defend yourself against goblins? trolls? and even ogres??? What about the ghouls that come out at night?! 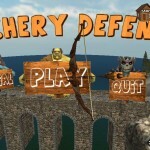 Put your archery skills to the test and see how long you can survive, in Archery Defense! 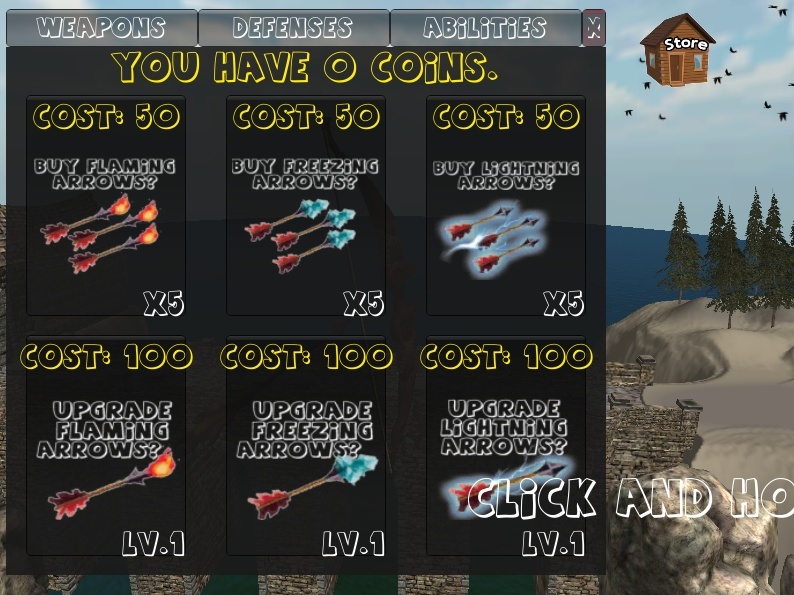 Mouse to aim, left click to shoot, Q and W to activate power ups, 1, 2, 3, and 4 to choose arrows.